There's Esther Brown, Woody Strode, Charlton Heston (as Moses), Yul Brynner, Cedric Hardwicke, and Anne Baxter. Great cast with campy dialogue. 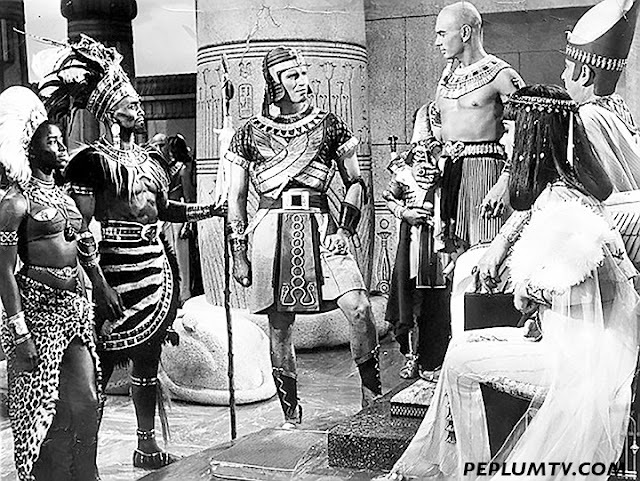 Anne Baxter, as Nefretiri, comments on Esther Brown : "And such a BEAUTIFUL enemy!" Very entertaining, in more ways than one.